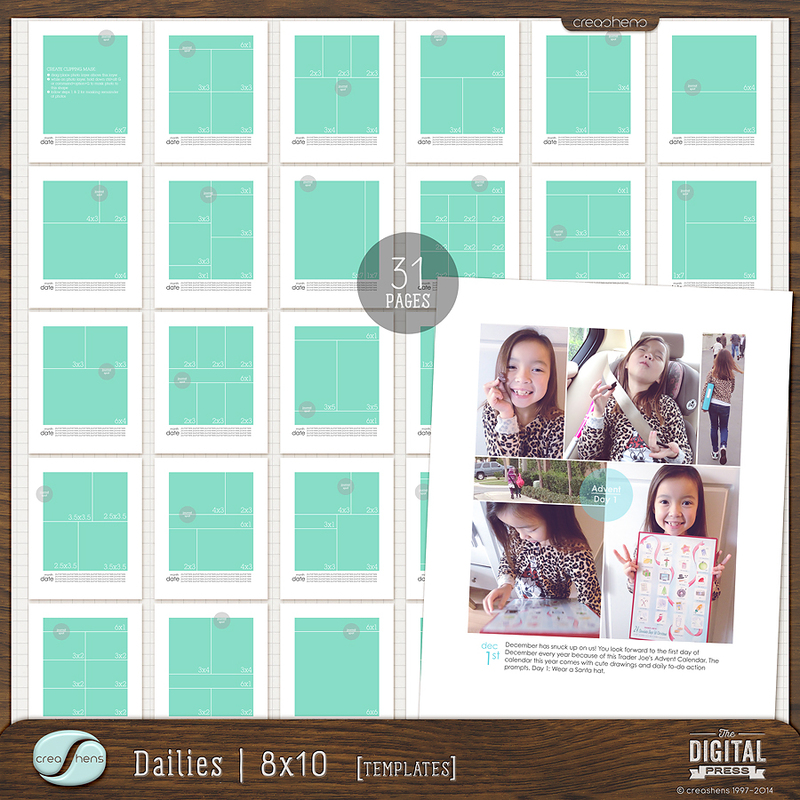 Dailies | 8x10 templates set includes (31) photo-centric 8x10-size layered templates in both PSD and TIF formats. Simply clip your photos to the layered masks, as these template layouts are ideal when photographs are the main focus. Perfect for documenting 365. 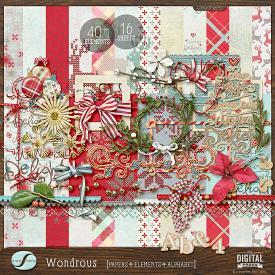 The versatility of these templates also allows for customizing and embellishing to make them even more special, unique, and YOURS. 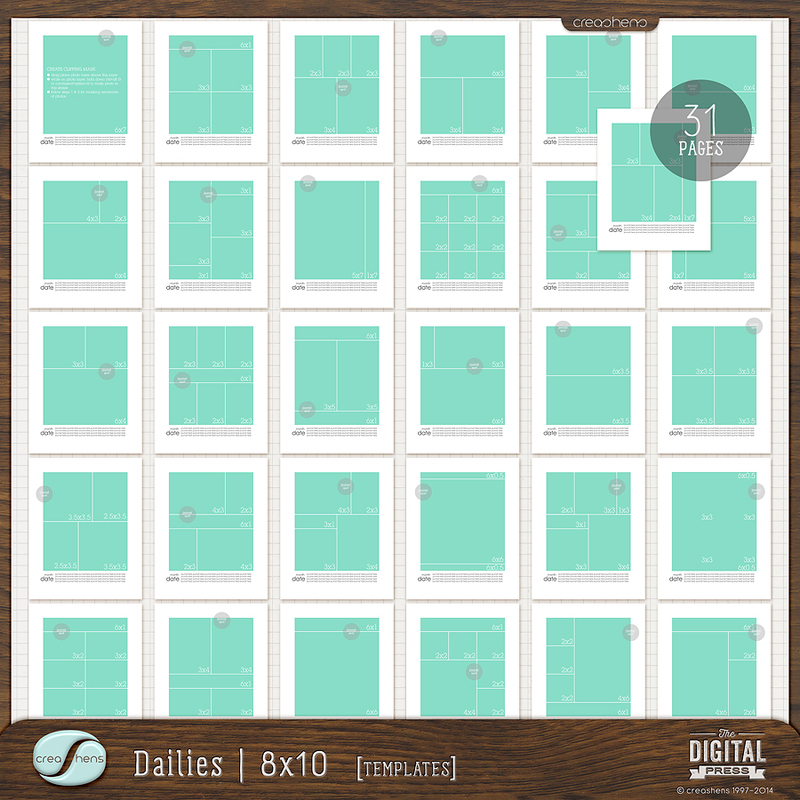 With (31) different layouts, you have enough to create a different layout every day of the month! These are the templates I use to create my Blurb photo books. The 8x10 size is perfect to create Blurb Standard Portrait photo books. I also print the pages out individually and insert them into ring binders or spiral-bind them. Classy, versatile, and simple ~ Use these templates to create your own gorgeous photo book documenting special events, occasions, or just the everyday 365 goodies, quick and easy! All files delivered in digital 300dpi 8x10-sized PSD and TIF file formats for preference. Download speed varies upon your internet connection. Everything proudly created in high-resolution quality and presented in 300dpi for optimal printing.